No Win, No Fee Personal Injury Claims. Hardings Gulhane Solicitors offers a No Win, No Fee for clients that believe they have suffered from someone else’s negligence. We offer a free initial consultation so that we can provide you with legal advice based on your situation so that you can make an informed decision as to how you wish to proceed. We offer legal advice for all personal injury and compensation claims such as motor vehicle accidents, work accidents, slip and fall accidents and medical negligence. We pride ourselves on being a start to finish law firm who provide a personal approach to resolving personal injury matters. After our initial consultation we will advise you of your rights and potential remedies and if we agree to take on your matter we will offer a no win, no fee arrangement. This means that we will fund your legal matter from start to finish and we will only charge a reasonable fee if at the end of your claim you win. 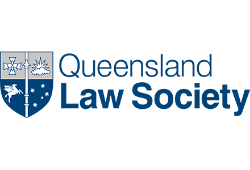 There are strict timelines that apply to personal injury claims in Queensland so please urgently call us today to make an appointment.